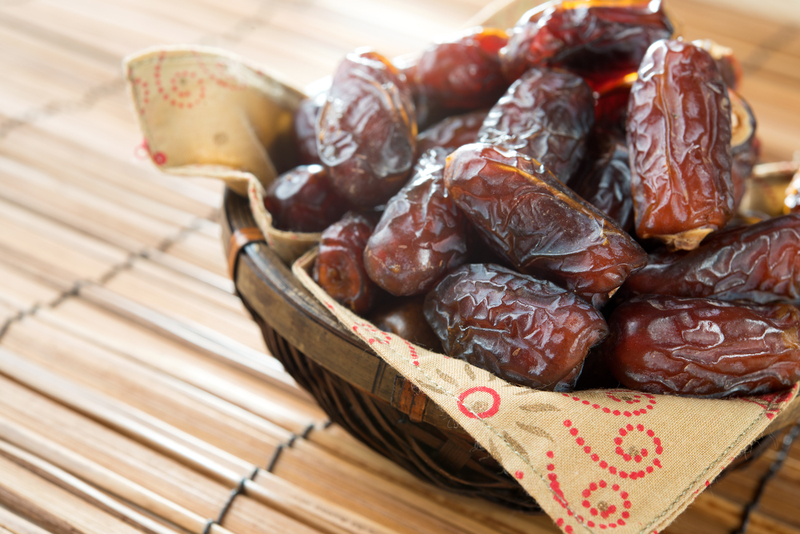 This is a photograph of dates, a traditional Arab fruit. Dates are an essential staple all throughout the Middle East and North Africa region. They are eaten as they are, and they are also used in a wide variety of recipes. How do You Grow Food in a Desert Landscape?